Functional sweater made from high-quality stretch material in KTM Racing style. 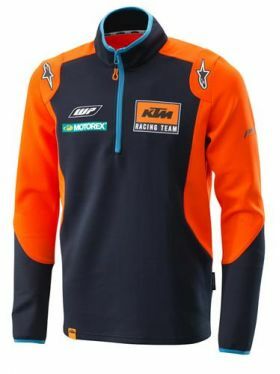 KTM Racing Team logo on front and back, sponsors’ logos printed on both sleeves. 95 % cotton / 5 % spandex.